The à la carte services. Start with one of these packages and add on the extras you need. Did you find your starter package? 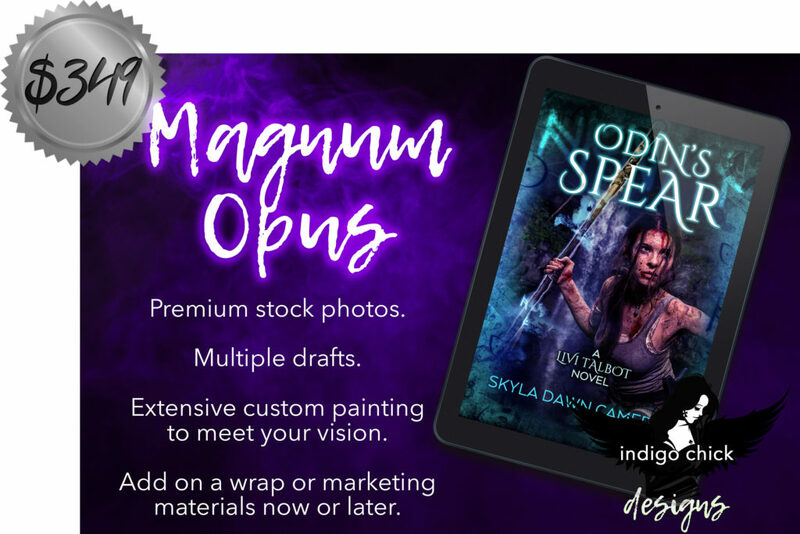 Would you rather bundle the cover art services and get an ebook cover, full-wrap print, audiobook cover, and various promotional graphics all in one? Are you a previous client unsure where your covers fit? 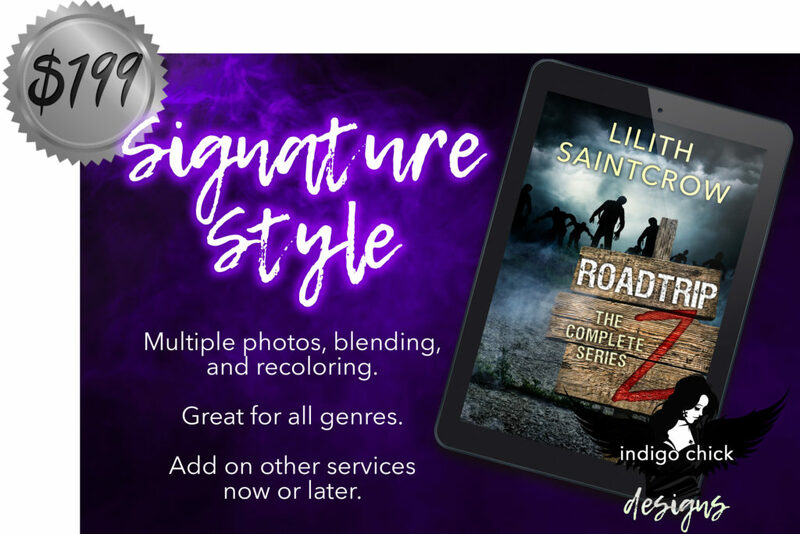 Most previous of my previous covers fell in the “Signature Style” mid-tier, with around three to five photos blended, some digital painting, and a few rounds of revision. A few simpler romance covers would’ve been considered Classic Beauty, while some of the SF/F covers would’ve fallen under Magnum Opus because of the level of custom work required. If you’re ordering a sequel cover and are unsure where it might fit, feel free to ask me before making your down payment. Consider how much custom work you’re looking for to fit your vision. If you order a lower tier but your questionnaire answers indicate you’re looking for more custom work, I’ll advise you ahead of time, and you’ll have the opportunity to upgrade if it’s what you want!